If we were being completely honest, we’d reply, “of course not”. You’ll soon ascertain that we have a slight problem with stretching the truth. We get kids on board and excited about these trips by over-emphasizing the potential highlights and skipping the parts we know the kids won’t like. 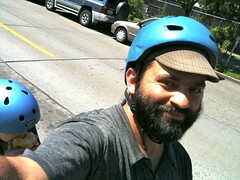 One of our favorite bikers in Seattle has become a family biker and he now has a new blog. And I must say, he’s on fire. Davey is single-handedly putting us old and lazy bloggers to shame. I love his writing and his playful humor, be sure to start at the beginning. 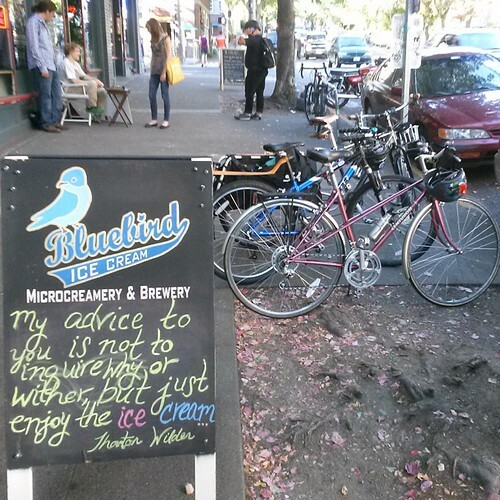 By now you know that the Car Free Days family isn’t always prompt about posting to our blog. We have the very best intentions to keep it from getting old and moldy, but often life gets in the way and we push those blog updates aside.